Sometimes there’s no avoiding the obvious. 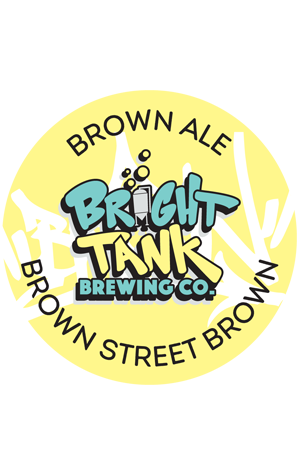 If you open a brewery on Brown Street you kinda have to have a Brown Ale. It's no bad thing as, for all of the experimentation innate in modern brewing, there is something satisfying and dependable about the style that’s as enduring as the century old bricks that line the warehouses just outside Bright Tank's doors. In the glass, the straightforward articulation conveys caramel, coffee and lightly roasted malt, all of which rise with the mid-palate sweetness before resolving in a dry conclusion.